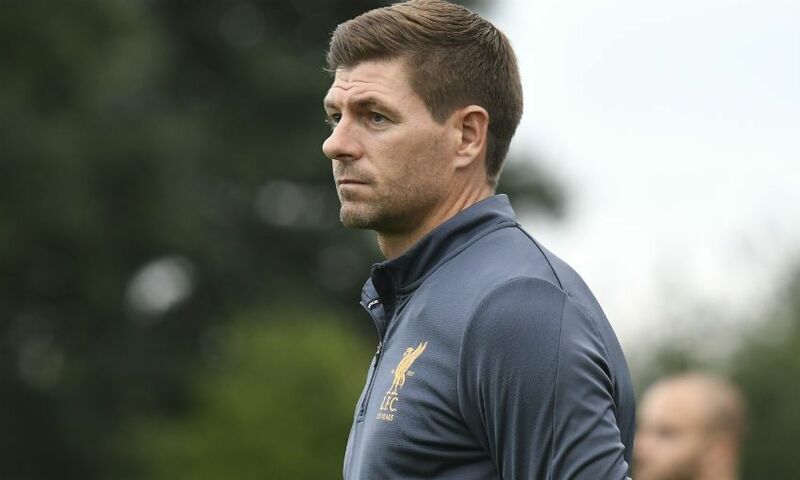 Steven Gerrard’s spell as Liverpool’s U18s coach has left behind a legacy, believes Academy director Alex Inglethorpe. The Anfield legend was in charge of the young Reds side for the 2017-18 season before taking up a role as manager of Rangers this summer. Inglethorpe feels Gerrard has ‘left his mark’ on everyone at the Academy and is confident he’ll go on to prove a success in first-team management. He told the Liverpool Echo: "Having the opportunity to work with Steven left it's mark, not just on the players but on the staff as well. "You see the qualities that he brings. I think we've been really lucky to have had Steven here. "At best, I knew we would get two or possibly three years. We always knew that he would be wanted and having worked with him I can understand why. He's a natural leader. "He's incredibly dedicated towards achieving what he wants. He's not a man who looks to cut any corners. "He's not someone who wants to be fast-tracked. He was prepared to come into the Academy and commit in the same way as every other coach. "I have no doubt that he's on the pathway to becoming a top manager. All he needs is time and a bit of patience from everybody. "He's in the infancy of his journey but I'm convinced that he will succeed and achieve everything as a manager that he did as a player."